My PhD research involves determining the effects of industrial noise on several owl species in the boreal forest of northeastern Alberta. Owls use vocal communication to attract mates and defend territories, but also use acoustic cues when hunting for prey at night. I’m looking at whether vocal communication and hunting efficiency in owls is affected by chronic industrial noise. To do this, I use automated recording units (ARUs) to conduct passive acoustic surveys to detect owls calling in the spring at noisy and quiet sites. Owls call most in the spring to attract mates and defend their breeding territory. To process the recordings I’m using a combination of human listening and automated computer recognizers to detect specific owl species. My study area is the Lower Athabasca region of northeastern Alberta, an area with increasing oil and gas development, and subsequently, increasing noise in the environment. I also conduct small mammal live-trapping in the summer months to look at the effect of industrial noise on prey availability. 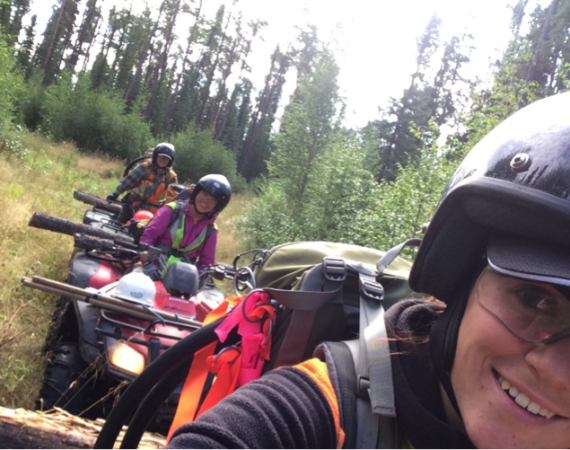 Dr. Erin Bayne on CBC Radio! 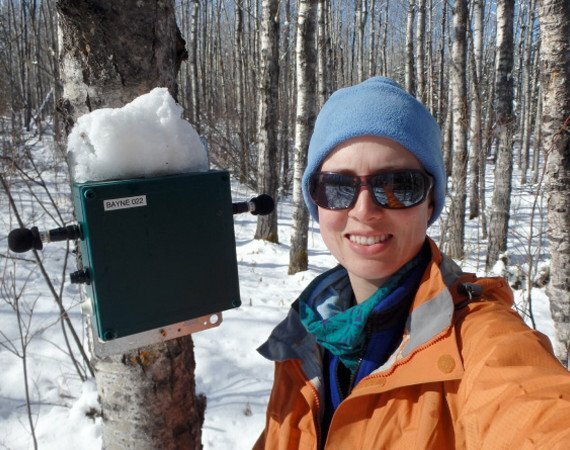 The growth of the energy sector in Northern Alberta and its impacts on the structure and composition of boreal forests may, in turn, have significant impacts on songbird communities. Most studies to date have focused on local-scale response of birds and have concluded that the observed patterns are predictive of large scale population consequences. My research looks into how spatial scale influences our understanding of industrial impacts on bird abundance and richness as estimated by ARUs. I will also delve into the importance of repeat visit surveys and how detectability affects our understanding of avian response to industrial growth. My MSc is about understanding the spatial and temporal variation in habitats selected by rare species and how our understanding is influenced by our choice of modelling approach. My primary case study is the Yellow Rail, a secretive wetland bird, for which we began passive acoustic monitoring in 2012. We have developed automated recognizers to detect and classify the vocalizations of Yellow Rail and other species targeted in the Rare Animals monitoring program in the Lower Athabasca region. Patch-occupancy models are often used to evaluate species distributions. I will be comparing outcomes when data from our bird experts is used compared to data from our recognizers. Additionally, these models explicitly correct for detection error but I’d like to explore how the relative importance of this changes when you survey more intensively. My MSc research is focused on understanding how different logging practices facilitate community assemblages of songbirds. 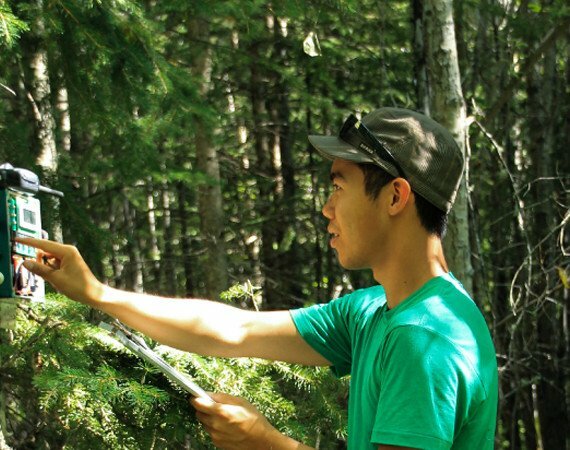 I am specifically focusing on a practice known as Understory Protection which involves the harvesting of mature trees without disturbing understory White Spruce trees. I will be comparing bird communities found at understory protection harvest sites with those found at traditional harvest sites, as well as at unharvested sites. I will also be investigating how these communities shift over a temporal scale by surveying a chronosequence of these harvested sites. I am using ARU technology to conduct these bird surveys. Furthermore, my research will collaborate with Dan Yip and other lab members to better understand how we can estimate distance and detection parameters from bioacoustic data. This will be specifically useful in ascertaining whether individual birds heard on a recording are within the treatment area or not. 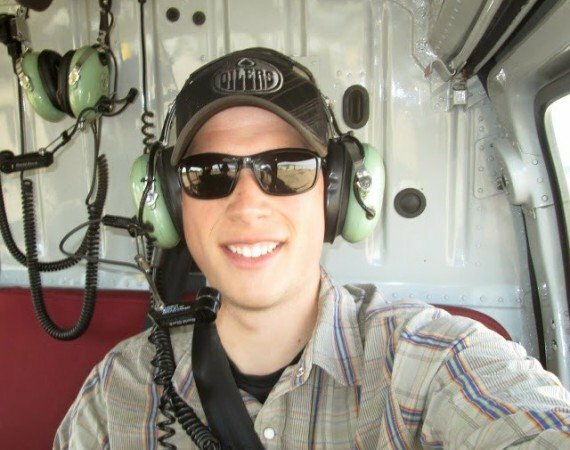 Lastly, I will be involved in the development of automatic recognition software to find 7 species of birds that are known to rely on old growth forests to determine whether or not they utilize understory protection sites. The complex life cycles of amphibians requires use of both terrestrial and aquatic habitat to satisfy both larval and adult life stages. The combination of biotic and abiotic factors that are most suitable for amphibians is not fully understood, especially for northern toad populations. Wetland habitats have been poorly sampled in northeastern Alberta, and therefore, amphibian assemblages inhabiting various wetland types remain undocumented. 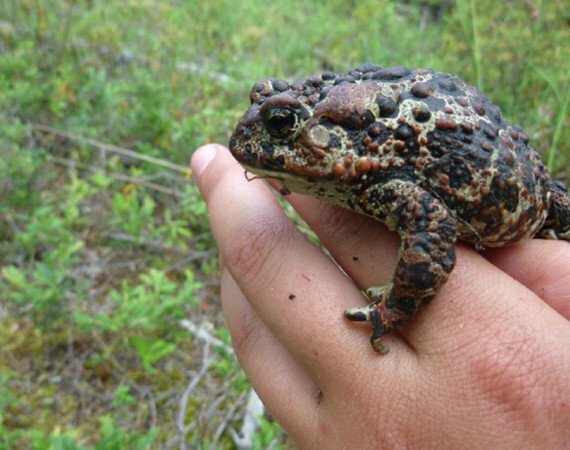 My research focuses on the Canadian toad (Anaxyrus hemiophrys) and three other vocalizing amphibian species: wood frogs (Lithobates sylvaticus), boreal chorus frogs (Pseudacris maculata), and western toads (Anaxyrus boreas). My study aims to better identify wetland types used by targeted species, especially the elusive Canadian toad. Bioacoustics technology has been used to better understand the distribution of these species on the landscape. Using amphibian detections collected by automated recording devices, I will design habitat models for each species that can be used as part of adaptive monitoring and to assess risks caused by development near specific wetland types. My study also focuses on how anthropogenic noise impacts the calling behaviour of breeding boreal amphibians. My project focuses on how forest fire severity alters bird communities in the boreal forest of the Northwest Territories. 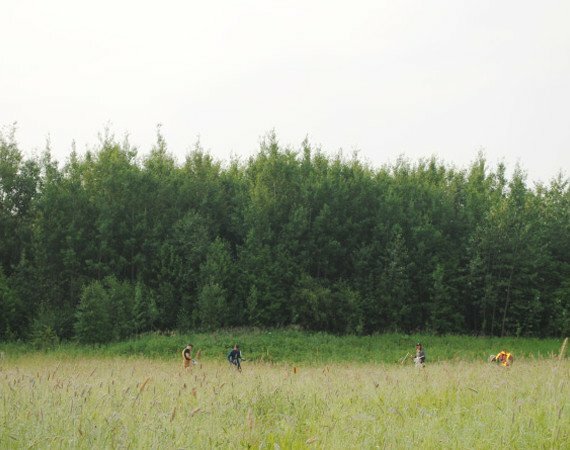 These northern forests differ from boreal in Alberta and BC in that they are much less impacted by resource extraction and provide insight into what bird communities may look like in a relatively untouched environment. This is an exciting region to work in as there are still basic knowledge gaps to fill, such as finding out what species are present in the region. Throughout June, the songbird breeding season, ARUS are placed in burned and unburned forests southwest of Yellowknife. I use audio recordings produced by the ARUs to listen for songs of male territorial birds to determine bird species richness and abundance. This project is in conjunction with a long-term Environment Canada monitoring program. 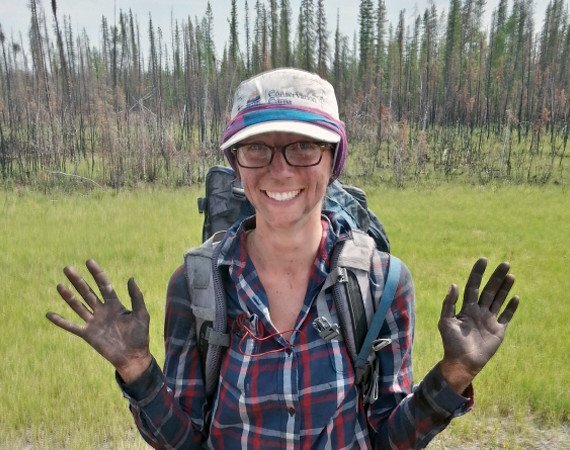 My Master’s thesis will investigate habitat for Species at Risk landbirds in the boreal forest of the Northwest Territories. My target species are olive-sided flycatcher, common nighthawk, western wood-pewee and rusty blackbird. 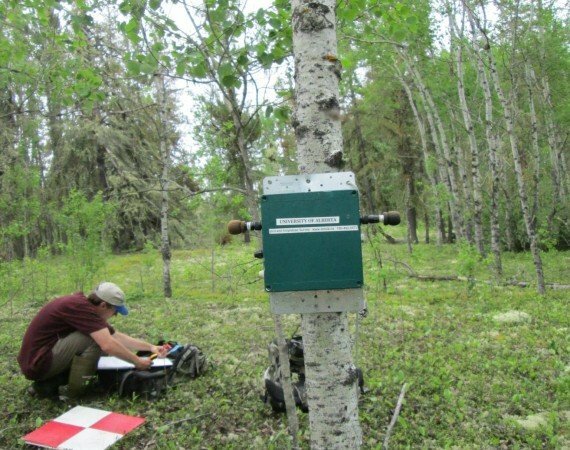 In partnership with Environment Canada, I am using song meters (SM3s) to collect bird recordings in recently burned boreal forest west of Yellowknife, NWT. By the end of June 2015 we will have recordings from over 400 sample sites, distributed across forest patches that burned in 2014. The sample sites are stratified by three burn severities (low, medium and high) and unburned control sites and at each site we are collecting vegetation characteristics and identifying ecosite. We are also sampling aerial insect abundance, using Malaise traps, at a subset of sites to monitor changes in food abundance for aerial insectivores. My research is investigating how to turn acoustic data into estimates of animal density. Currently, avian point counts by human observers and acoustic surveys are used primarily to assess the presence/absence or relative abundance of a species. However, to do any meaningful comparison, it is useful to understand how many individuals are on the landscape. The Bioacoustic Unit utilizes automated recording units (ARUs) to conduct many of their surveys. By understanding the detection distance of these ARUs, or how far they can ‘hear’, we can make estimates on the density of a given species and move from a relative metric of population to one that is absolute. I hope to use the results of my research to increase efficiency of our acoustic point counts, understand the impact of conducting counts under certain environmental conditions, and further develop applications for computer acoustic recognition software used by the Bioacoustic Unit. 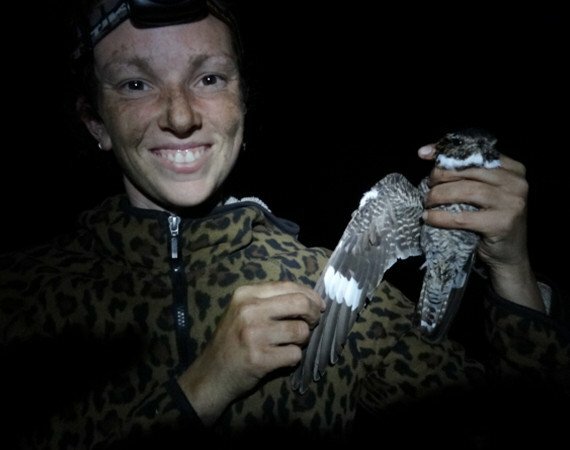 My PhD research focuses on ecological monitoring of a federally threatened species, the Common Nighthawk. Ecological monitoring is imperative for the management of wildlife populations, but species with cryptic or nocturnal life histories, large geographic ranges, and remote habitats create logistical complications. The Common Nighthawk is distributed across North America but little is known about their life history, population trends, and habitat requirements because they are most active at dark and often occupy remote habitats. Boreal populations are particularly understudied, but are thought to comprise a large proportion of the Canadian Common Nighthawk population. Common Nighthawks are federally listed as threatened due to population declines detected from diurnal Breeding Bird Survey (BBS) data; however, BBS likely do not adequately monitor the Common Nighthawk for the reasons mentioned above. study Common Nighthawk habitat use in western Canada, including in the boreal forest. 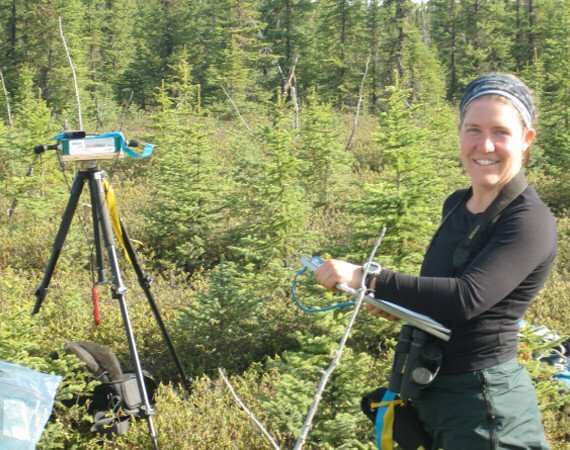 Objectives 2 and 3 will use data from the bioacoustics unit and the WildResearch Nightjar Survey, which collects baseline data on nightjar populations in Canada with the help of citizen scientists. My research is on bird use of reclaimed well sites in the boreal forest of Alberta. When oil and gas well sites are no longer productive, they are required to be reclaimed based on government criteria. Limited information exists on the rate of ecological recovery of these well sites following reclamation. My project uses autonomous recording units (ARUs) to collect acoustic data on songbirds, and understand how they use these sites at different stages of vegetation recovery. Multiple time synced recording units are deployed surrounding a reclaimed well site. Vocalizations detected on multiple recording units can be used to triangulate locations of individual birds, and determine use patterns of well site and forest edge. Information from this project can improve understanding of the rate of ecological recovery of reclaimed well sites, and how acoustic localization can be used as a method to study songbirds.